On 24 January 2019, the UNPO and Member organisation the Congress of World Hmong People (CWHP) submitted a joint report to the United Nations Special Rapporteur (UNSR) on Extreme Poverty and Human Rights ahead of its visit to Laos. Professor Philip Alston is due to visit the People's Democratic Republic from 18 to 28 March 2019. The report, compiled together with the Legal Clinic Aix Global Justice on Human Rights, discusses the particular case of the Hmong ethnic minority in Laos, focussing more specifically on the group that refer to themselves as "ChaoFa Hmong", who live in hiding in the jungle around the Phou Bia region. Since mid-October, this section of the Hmong population has been enduring intense persecution from the Laotian military. The report presents the conditions in which the ChaoFa Hmong live in Laos, which can be described as an extreme case of deprivation of basic living conditions and therefore, of abject poverty. Concerns over the severe brutality and basic human rights violations these Hmong endure have previously been expressed by international bodies such as the Committee on the Elimination of Racial Discrimination (CERD) and the UN High Commissioner for Human Rights (OHCHR), as well as by reporters and documentary filmmakers. Among the abuses mentioned by these sources are acts of extreme violence such as bombing, extrajudicial killings and torture (CERD, 2003), as well as the use of landmines and chemical weapons and substances that have caused the victims to experience symptoms such as nausea and dizziness. Beyond these persecutions, the Hmong living in the Laotian jungle also endure abject poverty and a lack of access to basic services. While Hmong individuals in rural villages are imperfectly integrated in the political, legal, economic, educational and health systems, especially due to the lack of inclusion of minorities' languages and high levels of illiteracy, poverty and unemployment - particularly among women -, the ability of the ChaoFa to enjoy human rights and fundamental freedoms is far more precarious. Their continuous displacement and the need for them to remain invisible to the military forces preclude them from establishing permanent agricultural and housing structures, as well as from having rights over land. Furthermore, as any search for food is executed under the threat of military attacks, their diets that consist in restricted amounts of roots and other food sources found in the wild can hardly provide enough to meet their nutritional needs. Having no access to safe drinking water and energy, nor to healthcare and sanitary systems, the ChaoFa Hmong are especially vulnerable to diseases and infections, as well as to the risk of maternity and birth mortality. In light of the above, recent increases of the number of Laotian military bases in the Phou Bia region and regular searches for the Hmong hideouts performed by the army have recently reached an alarming point, as a first attack that occurred on 15 October 2018 developed into what now has completed three months of extreme suffering for the Hmong ChaoFa. 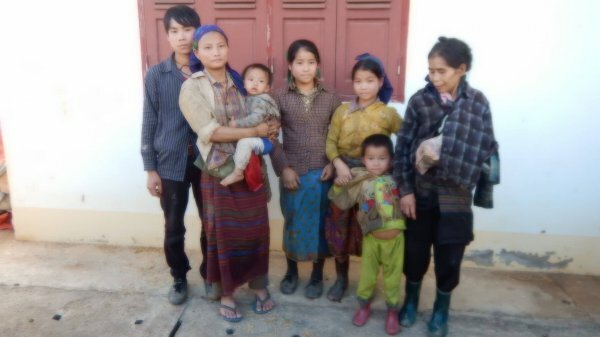 In face of the military presence in the Phou Bia region, the targeted community remains isolated and lacks the means to meet its basic needs, as people are afraid to leave their hiding places to forage for food and medicine and is forced to constantly be on the move. Therefore, the group has now been suffering from severe starvation for over three months and has no means to heal those who were wounded during the attacks, nor to bury the ones who lost their lives. Besides, a group of 63 individuals were forced to surrender to the Laotian military forces. In this context, as national means to solve their suffering seems improbable given the historical background, the UNPO, the CWHP and the Legal Clinic strongly encourage the UNSR to visit the Phou Bia region during his time in Laos, as well as to meet with the surrendered victims at the military base in the Xieng Khoung Province to oversee their condition and hear their testimonies. The report is available by clicking here, as well as on the OHCHR website. Photo: a group of the surrendered Hmong in Ban Peng (CWHP).